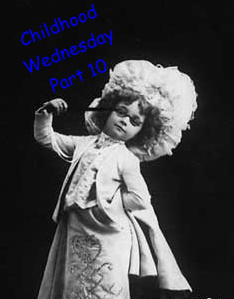 Today is the last Childhood Wednesday posting! Oh no! I'm a little upset about this, but all good things must come to an end...or so they say. Well, it's been a lot of fun posting posts about my childhood. It felt great to revisit my past and relive my youth. It's been a tough few weeks, because that's just how life is. If you're feeling a little down just remember your childhood and for some reason it'll help. 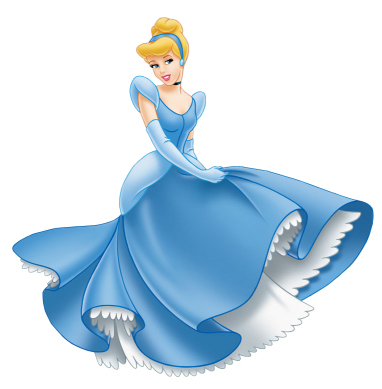 5) Cinderella from 'Cinderella'. I loved Cinderella as a child, even though I find her a little weak now because she didn't stand up for herself and she waited to be rescued. BUT as a child I thought she was doing the right thing, because if he truly loved her like he said he would fight for her and find her, so she taught me what true love was. She also taught me to be kind and loving and it's okay to dream. 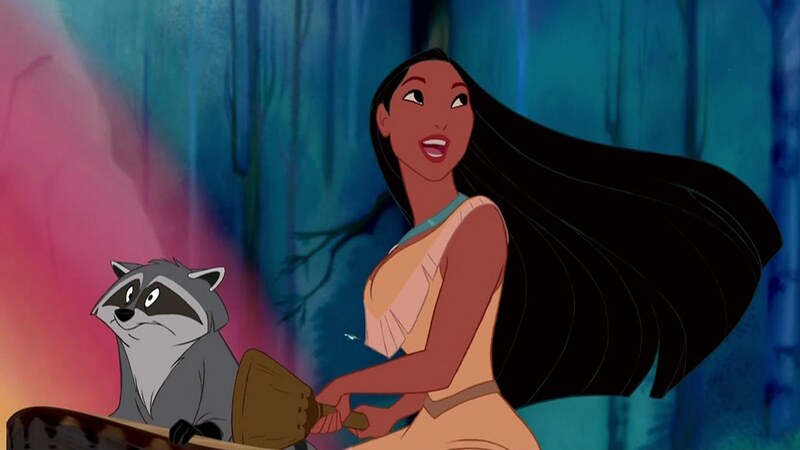 4) Pocahontas from 'Pocahontas'. Pocahontas taught me to love with my whole heart, love nature, love my Native blood, and look past physically appearances. 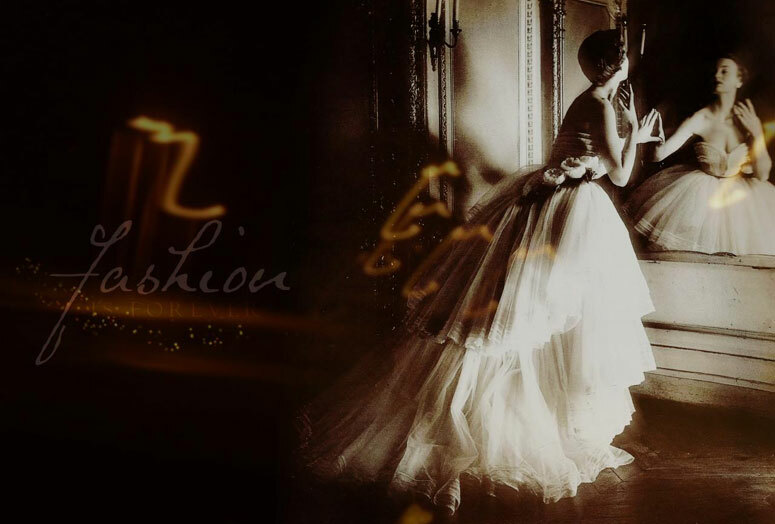 She is one girl that every little girl should look to for inspiration. 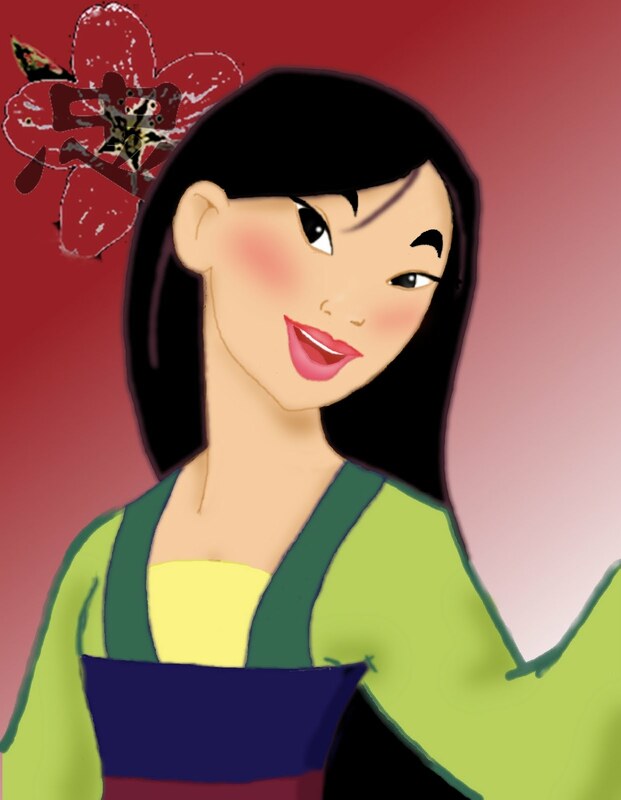 2) Mulan from 'Mulan'. As a child I only seen this movie a couple times, because my mom didn't like me watching movies with a 'war' theme or massive fighting. However, my mom did prefer me to look up to Mulan, because she stood up for herself and taught me the meaning of honor. Mulan should be who everyone looks up too. She installed in me to love myself and to do what is right, even if it may be wrong. 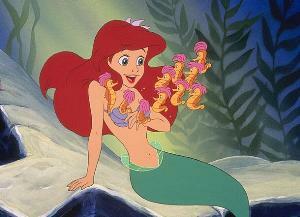 1) Ariel from 'The Little Mermaid'. She was number 1 in my heart since I seen the movie for the first time. I still catch myself humming her songs. She taught me follow my dreams and to never let go of those dreams even through the tough times. Also, she taught me that it's okay to think differently then others and be myself and not care what others think. I loved her so much my named my first pet (a rabbit) after her. All my childhood I wanted to be a mermaid, but alas, I'm still human. That's why Ariel is #1. This is a little sad, but all good things must come to an end. Just like the simple life: childhood. I hope you enjoyed my postings! Click here to visit last week's posting. Feel free to post this series if you're interested!